The paradigm for treatment of unilateral hearing loss has undergone significant changes. While minor asymmetries may be observed, studies reveal that unilateral hearing impairment may negatively impact language development, social interactions, and academic performance. Most rehabilitative options for single-sided deafness (SSD) route sound to the contralateral cochlea resulting in only unilateral auditory stimulation. The benefits of true binaural hearing including improved hearing in difficult listening situations and the ability to localize sound remain elusive to patients with SSD. 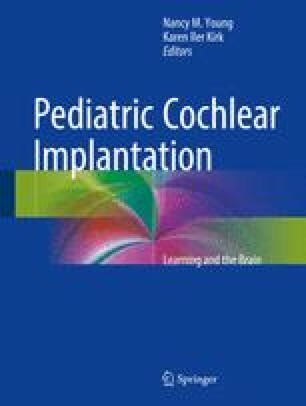 Cochlear implants may habilitate some of these abilities, but widespread use of this modality in children will depend on further outcome studies.